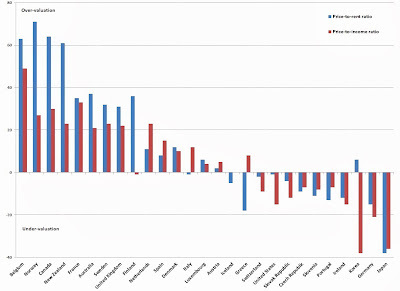 According to OECD, Canada is in a category of three countries where real estate is overvalued yet prices are still rising. 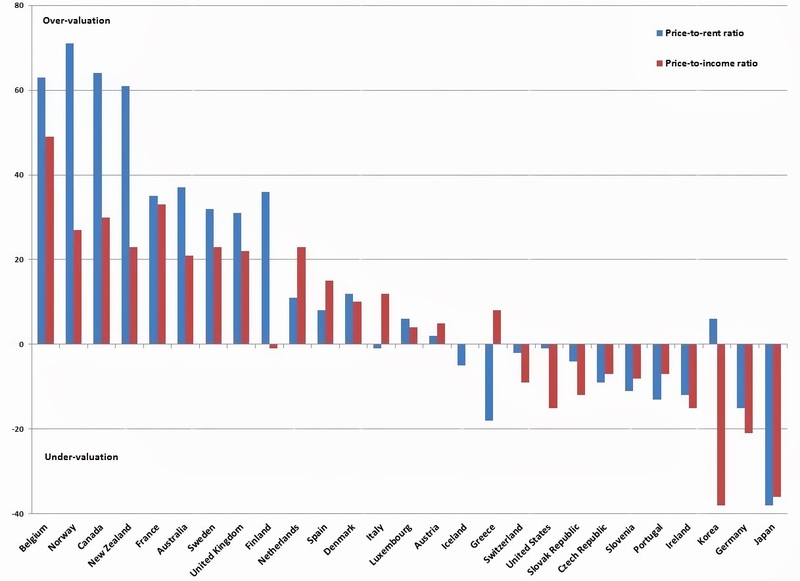 Additionally, Canada, Norway and New Zealand are most vulnerable to real estate correction. Especially if interest rates rise! 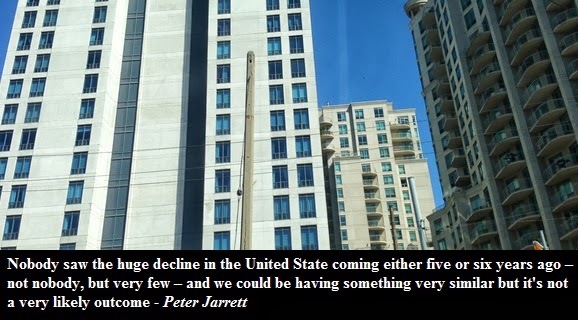 Peter Jarrett, head of the Canadian Division at OECD, says the housing market in Canada is "exceptional in terms of not having gone through much of any correction since the turn of the millennium 12 or 13 years ago," he says. "So when you take them [prices] relative to fundamentals there are a lot of questions that can be asked." The risks to the housing market are particularly pronounced in markets like Toronto that have seen some of the largest run-ups in prices, he says. The Toronto condominium market is the agency's "number one concern." Nonetheless, Jarret says the agency still believes a "soft-landing" is in store for the country's housing market, but warns that if prices "drop sharply" then economic growth will be considerably weaker than the OECD's current forecasts. Is soft landing possible? Yes. However the question is, how probable is it?